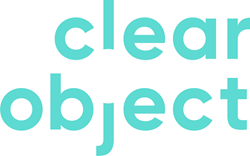 ClearObject, an Internet of Things (IoT) Systems Innovator, announced today it has received a multi-million dollar line of credit from Silicon Valley Bank (SVB), the bank of the world’s most innovative companies and investors, to help support continued growth initiatives. ClearObject has achieved 50% year over year recurring revenue growth and doubled employee headcount over two years by having the foresight to capitalize upon the fast-emerging IoT market while continuing to be a leader in providing cloud services to some of the world’s biggest and most well-known brands. The news comes less than a month after it was announced ClearObject had been named to the 2017 Solution Provider 500 list, CRN’s annual ranking of the largest technology integrators, solution providers and IT consultants in North America by revenue.